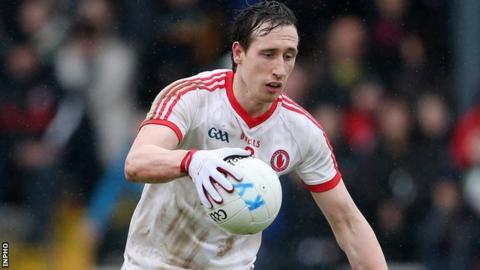 Tyrone midfielder Colm Cavanagh could miss the Ulster SFC preliminary round encounter against Down on 18 May because of a quad injury. The Moy player has restricted movement after his quad tightened in a club match against Coalisland. Cavanagh is having intensive treatment in the hope of being fit to face the Mournemen at Healy Park. "I have a week or two now just to get myself right, but I'm still not out of the woods," said Cavanagh. "I'm about 60 to 70 per cent. I don't know what happened it - it wasn't a knock, it just started to get tight during the game," he told the Irish News. "I couldn't run and I had to take a week off training. It's still very sore."